This magnificent film is particularly creepy and unsettling. You may think that the village of Summerisle is a peaceful place, but underneath the lush scenery the villagers are hiding some dark secrets. A police officer named Howie arrives to investigate a missing child. He slowly uncovers clues about the missing girl's whereabouts. In the process he also discovers the community's dark pagan rituals, which are truly alarming. The story is laid down very nicely, enabling the audience to know more about the characters along the way. It has a beautiful mixture of horror, suspense, and mystery that kept me guessing. 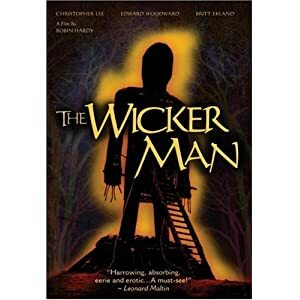 The Wicker Man is my favorite Movie all the time and i must say that it's scariest movie and this article contain a lot of specification and detail of that movie as well. You actually want to give the gift this movie to his friend which is great ideas. This website have a lot of other gift ideas as well.